Vogt Ice revolutionized the packaged ice business in 1938 by development of the first automatic sized icemaker, the Tube-Ice machine. Before that, ice was delivered in block form for use in ice boxes or chipped into smaller pieces to ice down drinks. 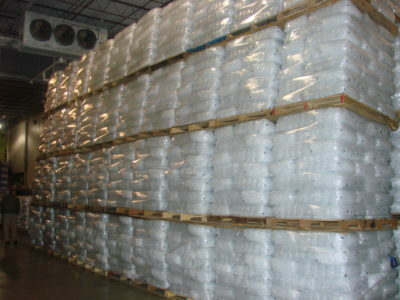 The packaged ice industry has come a long way since its humble beginnings to become a thriving, profitable business and Vogt Ice has been there every step of the way assuring success for the iceman. Every successful iceman knows that the key to success is to have a dependable source of ice. Vogt offers a full line of Tube Ice machines or Turbo plate ice (fragmented) ranging from 3 tons a day to over 100 tons per day to suit your needs. Our reputation for dependable, long lasting, efficient equipment is second to none. Vogt Ice has thousands of machines in packaged ice installations around the world many of which have been in service in excess of 30 years. 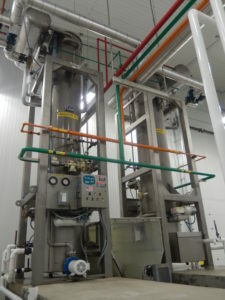 Let us help you get started in the ice business with a 3, 5, or 10 ton a day machine, or expand your existing ice plant by adding additional equipment. Whether your preference is Tube Ice or Turbo plate ice, Vogt is the only clear choice for your ice making needs.